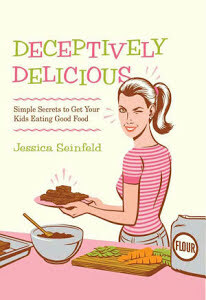 In college, one of my roommates really liked the cookbook Deceptively Delicious: Simple Secrets to Get Your Kids Eating Good Food. The cookbook is full of dessert recipes with purred vegetables in it, and my roommate joked that she was going to bake brownies with pureed broccoli to trick her boyfriend into eating more vegetables. Of course, my roommate’s boyfriend wasn’t a kid. (Though they are married and have their own kids now!) However, this trick is potentially one way to get kids to eat more vegetables. I’m sure most parents would agree that getting your kids to eat vegetables is important. Yet, kids are sometimes resistant to eating enough vegetables. If there were a way to make it easier and more enjoyable to get kids to eat their vegetables, that would probably be good, right? Perhaps if you’re already having dessert, putting an extra serving of broccoli into a brownie is better than having a regular brownie. But I suspect that most parents wouldn’t want brownies with broccoli to be the only way their kids get vegetables. We want to teach our kids healthy eating habits, like eating vegetables as part of a balanced diet. What does this have to do with retrieval practice? One of my favorite analogies when talking about retrieval practice is “hiding broccoli in the brownies.” Retrieval practice can be really good for learners to promote meaningful, long-term learning. One really common way to practice retrieval is answering questions on a test or quiz. Because of the value of retrieval practice, we often recommend that teachers implement frequent low-stakes or no-stakes tests and quizzes in the classroom. However, this isn’t always the most fun. In fact, retrieval practice can be really hard, and sometimes tests can be anxiety provoking. As teachers, we want learning to be enjoyable. So, if there was a way to make it easier and more enjoyable to get learners to practice retrieval, that would probably be good, right? Well, yes, there are ways to implement retrieval practice without implementing tests or quizzes. Really, anything involving bringing information to mind from memory is retrieval practice. (In fact, that’s why a lot of researchers call it ‘retrieval practice’ now instead of ‘the testing effect’. It’s not the test, per se, but retrieval that occurs while testing that creates learning during a test.) Students can create concept maps from memory, draw pictures to represent the ideas from memory, describe and explain ideas from memory to their peers, or play games that involve retrieval. These are wonderful activities, and I’ve written about creative ways to design retrieval practice activities for elementary students. However, as fun as retrieval-based learning strategies can be, I would argue that they should not completely take the place of low-stakes or no-stakes tests and quizzes in the classroom. Students are going to be tested at some point in their lives, and some of these will be higher-stakes tests. Even if we were to get rid of standardized tests somehow, tests would still exist! Students in professional schools, like Medical School or Law School, have to take board exams to earn licenses. Ultimately these doctors and lawyers will be “tested” when they have to diagnose patients or respond to legal issues in a courtroom. We're all being tested, both when we're in school and when we get out of school. It isn’t always fun, and sometimes it’s hard, but it’s a part of life. So, it is in a student’s best interest to become comfortable with retrieving information in a testing environment. Just like we wouldn’t want our kids to only get vegetables from desserts, we don’t want our students to only get retrieval practice from games. We need to establish healthy eating habits and healthy testing habits, too! The good news is that taking frequent low-stakes or no-stakes tests in the classroom can actually help reduce test anxiety (1). Research by Pooja Agarwal (@PoojaAgarwal) and colleagues found that middle-school and high school students reported that frequent retrieval practice in the classroom made them less nervous for bigger unit tests. Karl Szpunar and colleagues (2) showed that frequent tests interspersed within a lecture also reduced test anxiety about a cumulative test. Thus it seems that implementing retrieval through quizzes in the classroom can lead to healthy testing later on. So, while it is very possible to "hide the broccoli in the brownies" by infusing retrieval-based learning into fun activities in the classroom (without increasing your sugar consumption!! ), and increasing retrieval practice can definitely be a good thing, practicing retrieval through tests and quizzes in the classroom is also important. (1) Agarwal, P., D’Antonio, L., Roediger, H.L., McDermott, K.B., & McDaniel, M.A. (2014). Classroom-based programs of retrieval practice reduce middle school and high school students’ test anxiety. Journal of Applied Research in Memory and Cognition, 3, 131-139. (2) Szpunar, K. K., Khan, N. Y., and Schacter, D. L. (2013). Interpolated memory tests reduce mind wandering and improve learning of online lectures. Proceedings of the National Academy of Sciences U.S.A., 110, 6313–6317.